I don’t know how spiritually ready you were last night to execute your youth meeting or small group, but I was spiritually slacking. I have a lot going on in my life right now. I have trying to get my High School senior son graduated, I have a basement being remodeled, and I am prepping for a missions trip to Alaska. None of these are excuses. I still pray, read my Bible, etc, but yesterday it felt like I could only pray one prayer, “God, I need your help.” That was it. I had been up since 3:00 a.m. from taking my wife to the airport and I was out of rhythm all day and really all week. 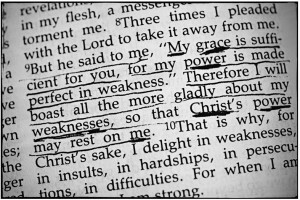 Would God respond to my weak and anemic prayer? He did. Even though I did not feel like I had “earned” any favor for the meeting or my performance, I sensed his presence during worship and the message. I connected with several kids and we had a fantastic meetings. Normally, I would be analyzing how our meeting went today. I am taking the day off from critical thinking and instead focusing on being grateful for the sufficient grace of God. Maybe you could do the same. Think about your meeting. 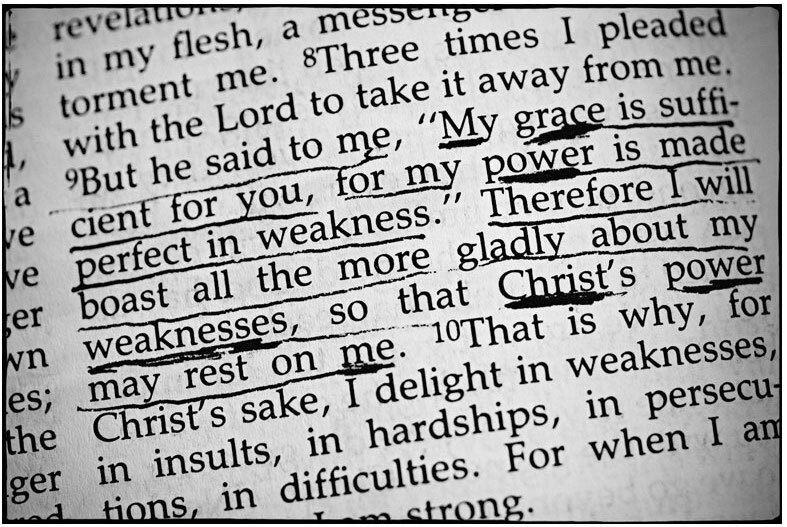 How did God’s grace appear to you?